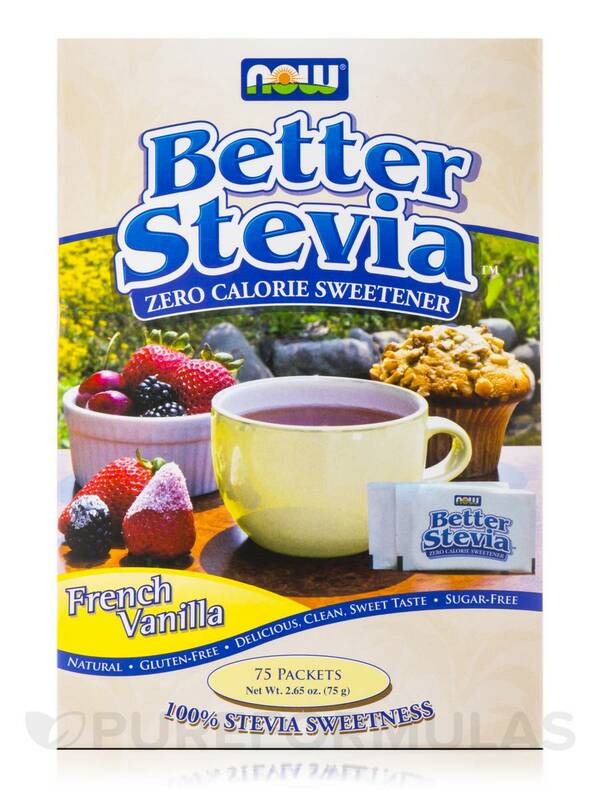 NOW® BetterStevia™ is a zero-calorie‚ low glycemic‚ natural sweetener that makes a perfectly healthy substitute for table sugar and artificial sweeteners. 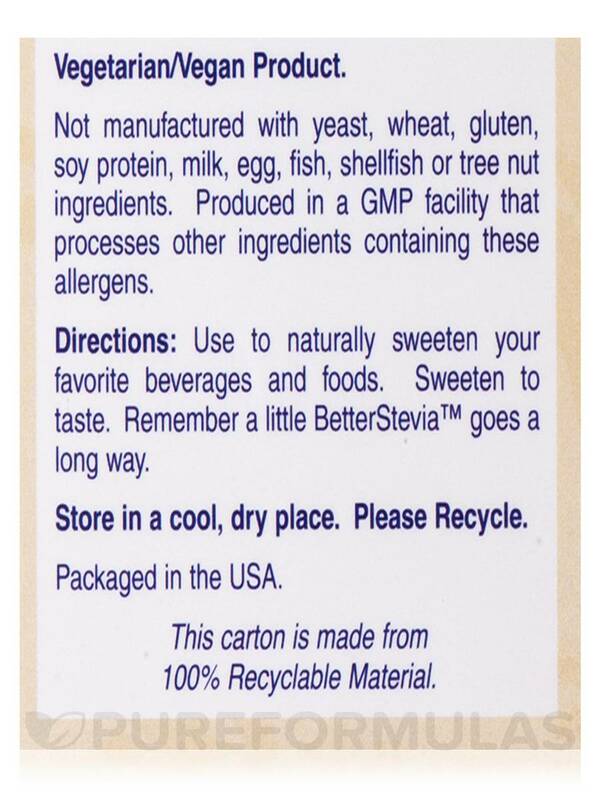 Unlike chemical sweeteners‚ NOW® BetterStevia™ contains pure Stevia extract; easily-utilized by the body and metabolized in the same way nutrients are. With a taste that is naturally 60-100 times sweeter than refined sugar‚ a tiny amount is all it takes to sweeten your favorite beverages‚ foods and desserts! 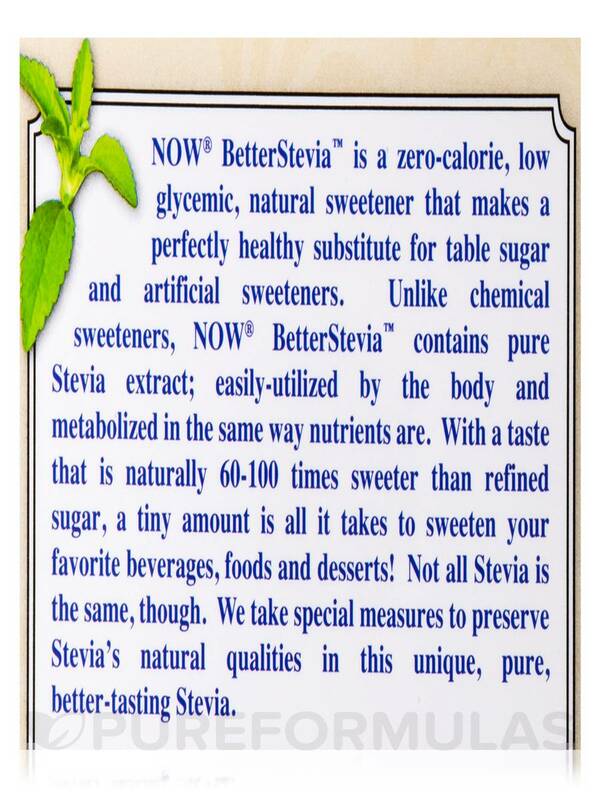 Not all Stevia is the same‚ though. 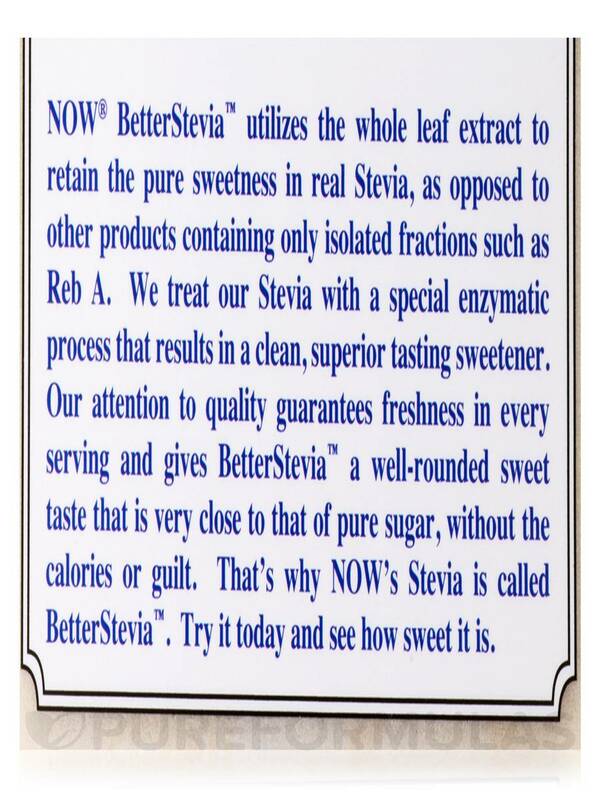 NOW Foods takes special measures to preserve Stevia’s natural qualities to make ours the best tasting‚ purest Stevia available. 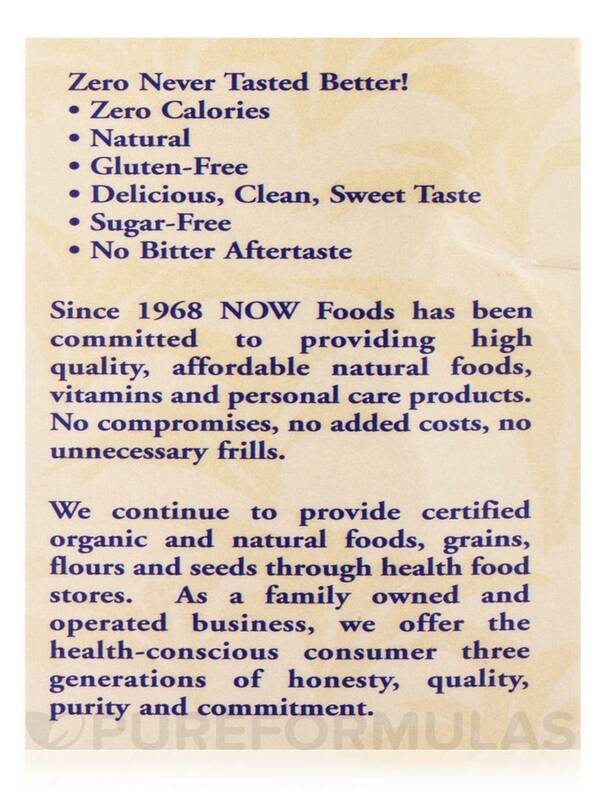 - Delicious‚ Clean‚ Sweet Taste. 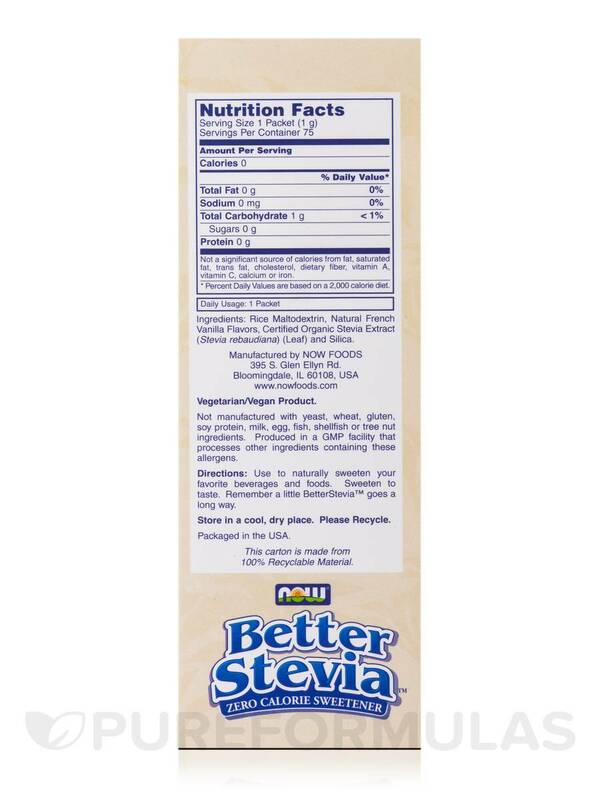 NOW® BetterStevia™ utilizes the whole leaf extract to retain the pure sweetness in real Stevia‚ as opposed to other products containing only isolated fractions such as Reb A. 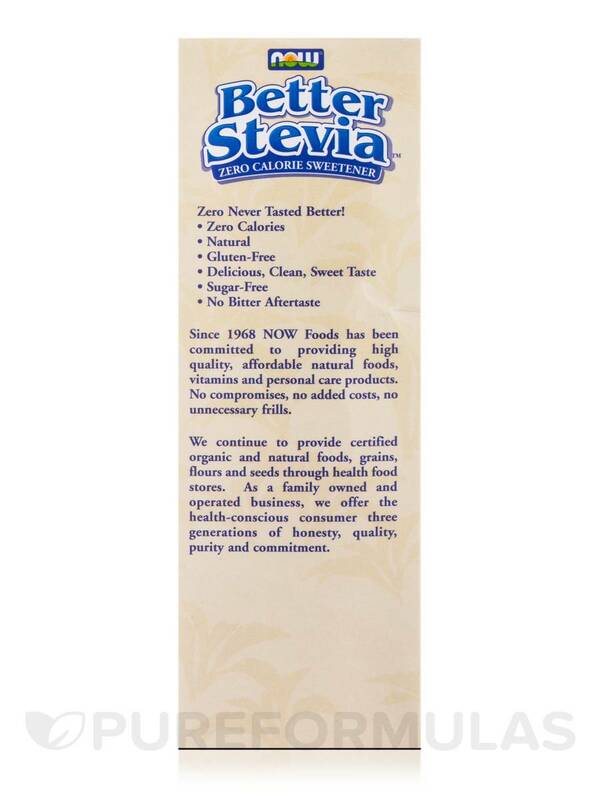 We treat our Stevia with a special enzymatic process that results in a clean‚ superior tasting sweetener. 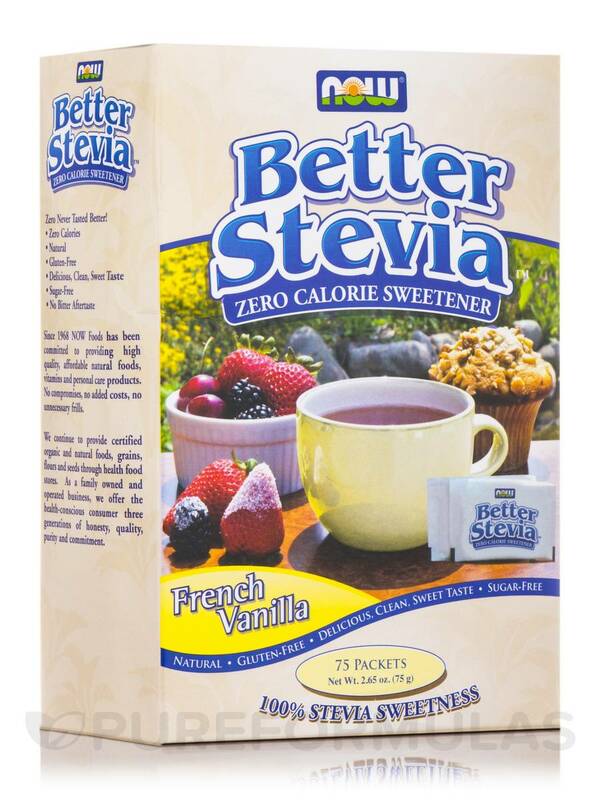 Our attention to quality guarantees freshness in every serving and gives BetterStevia™ a well-rounded sweet taste that is very close to that of pure sugar‚ without the calories or guilt. 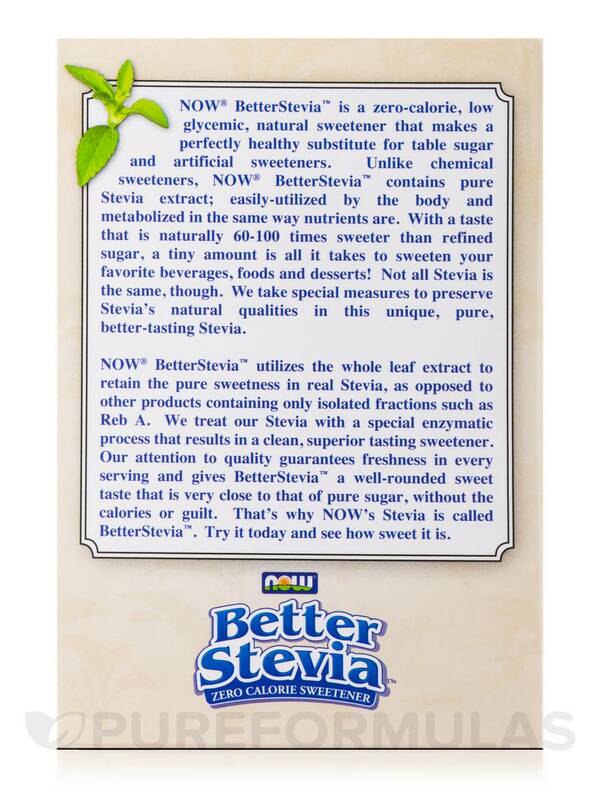 That’s why NOW’s Stevia is called BetterStevia™. 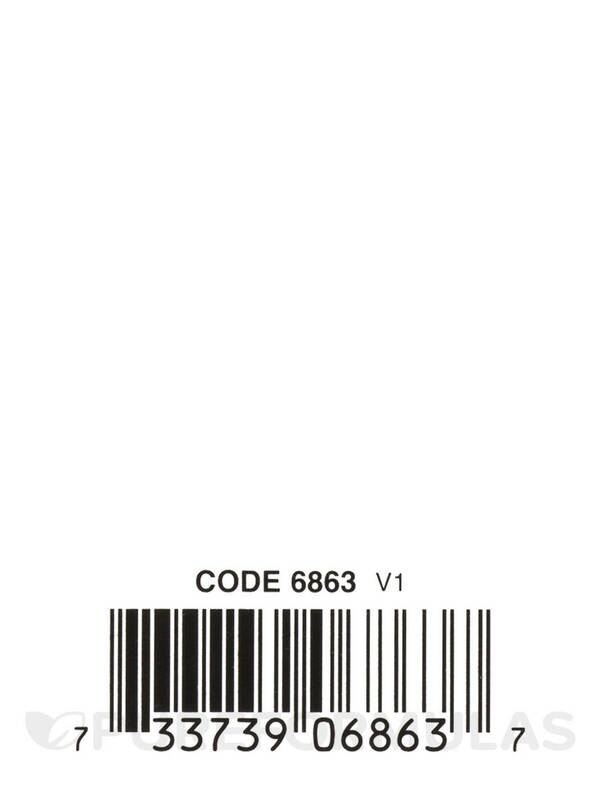 Try it today and see how sweet it is. 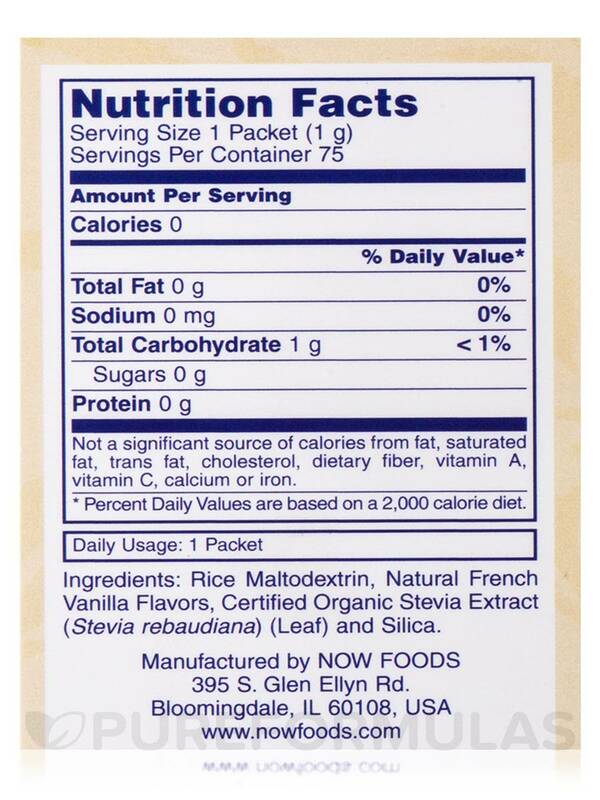 Ingredients: Rice Maltodextrin‚ Natural French Vanilla Flavors‚ Certified Organic Stevia Extract (Stevia rebaudiana) (Leaf) and Silica.